Ten pack of 352 mm 1.5 kW SK15 (wire ends) ruby heater bulbs. The SK15 bulbs connect to the heater vial fly leads used in larger wall mounted and many 1.5 and 3 kW commercial portable infrared heaters. If your 1.5 or 3 kW heater uses 352 mm bulbs with wire connection then these bulbs will fit the heater. 10 x 1.5 kW ruby SK15 heater bulbs. Long lasting high tolerance infrared bulbs. For standard UK & EU 220 - 240 Volt. 1500 watt Infrared heat output per bulb. 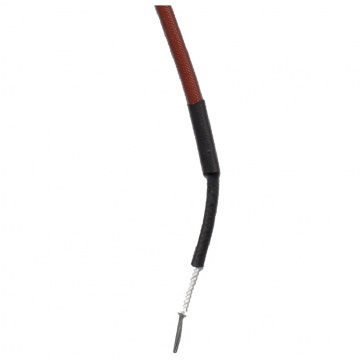 SK15 ceramic ends with 40 cm fly leads. Heats an area up to 10 m² per bulb. Reliable, safe and economical heat. Fits many 1.5 and 3 kW heaters. 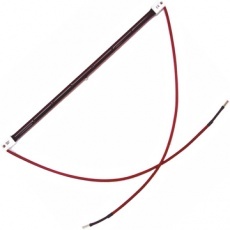 Fly leads can be cut down to required size. Total length including the white ceramic ends: 352 mm (35.2 cm) (14 inch). The ends of the SK15 heater bulb connection leads have 1 cm of exposed wire, this can be increased and the wire ends can be shaped into a loop or spade if required. 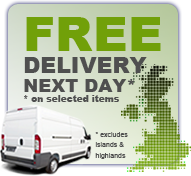 Order before 3pm Mon - Fri for free fully tracked next working day delivery.